What a Special Treat this is!!! LOOOK!!! My son just came in with all his treats from school. I'm so glad that he had a wonderful day considering he had a rough weekend not feeling well and all. Today he seems on fire and ready for action LOL. Hmmm, what fun therapy stuff can I do with him?? No, I'll just let him relax and play. I sorted his cards and things out for him. He was soo excited to get great gifts from everyone! Thank you everyone!!!! 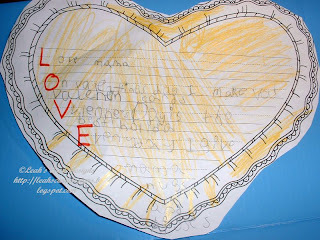 I then came across some papers in his pack and look what I found...he really knows how to melt my heart!!! Awwwww!!!!! 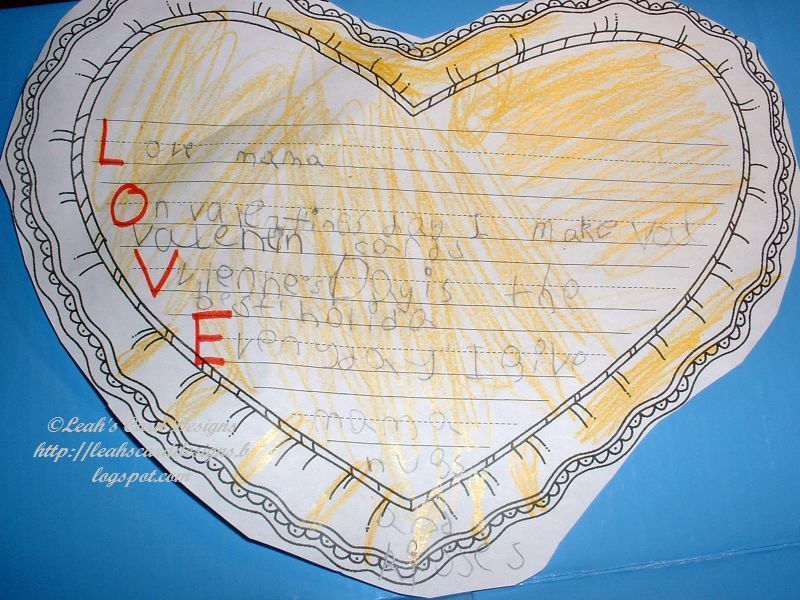 I love the special valentine you got from your son! Special gifts from the heart are the best! I came from Karel's blog and wanted to say congratulations on becoming a member of her design team. Your cards on her blog are great! Love the little piggies! Oh My gosh, that is so cute! That's the best Valentine there is!